Google AdSense is one of the best and popular PPC advertising networks. Every blogger and marketer dream is to make money using Google AdSense. Today We are going to introduce about Google Auto Ads. A revolutionary way to show AdSense ads on your website. In one of the previous post you would have read that how we can make $100 per day using Google AdSense but In this article, I am going to share that Google has changed the game and it is going to use the artificial intelligence to show ads on the advertiser’s websites and probably they webmasters will earn more..
What is Google Auto Ads? On February 21, 2018, Google has officially announced about the Auto ads feature to its publishers. Auto Ads is basically are based on the Artificial Intelligence. It simply crawls your web pages and posts and shows ads based on your content and also on most optimum location. It will give the best optimization for your ads which yield higher RPM and CTR. Some of you who are active AdSense publisher may know about Google page-level ads. Google auto ads are the advanced version of it. You probably have noticed this feature on your Google Adsense account under the “My Ads” Tab. Google Auto ads help you to monetize your whole website with just a single code. There is no need to create individual ad units for a different location. How Google Auto Ads Works? Monetizing your website never been so easy. Google Auto Ads works seamlessly with your website. Let’s check out how it works. Just Login to your AdSense account. Click “My Ads” Tab on the left side of your account. Here, the very first option is “Google Auto Ads” You simply have to enable it and browse for its settings. Here, you can find various Ad setting options like Text and Display ads, In feed ads, Match Content ads, etc. You simply enable or disable them as per your choice. Here, you can also find the overlay ads which is basically shown on mobile devices. Note:- It’s highly recommended that you choose the option “Automatically get new formats” This will help you to enroll yourself in new ad formats whenever Google launch them. You can also create different Ad settings for specific groups of URLs (domains, subdomains, site sections or pages). For example, you might want to show no ads on your blog certain pages. URL group settings will override your global settings. When you are done just click the “Save” button. After that, you will receive a code snippet which you have to implement on your site or blog. How to Implement The Google Auto Ads On your blog? Now, here comes the tricky part. Many bloggers and webmasters get confused and place the code in the wrong place. Here, I will show you how simply you can implement the Auto Ads on your website. If you already have implemented the page level ads on your website then there is no need to implement it again as both codes are same. If you are using WordPress then implementing the code is quite tricky and sometimes mess your blog if it’s placed in the wrong way. If you are using premium WordPress themes like themes from Mythemeshop then you can add this code to your theme options panel. You can also insert the code through Header and footer script plugin. It will add your code to the header of your website without messing with your codes and theme files. To add the code manually. Simply log in to your WordPress Admin Panel. Click “Appearance” then click “editor” it will the theme files. Now on the right side of the editor look for “header.php” file. That’s it; you have successfully implemented the Google Auto Ads on your website. 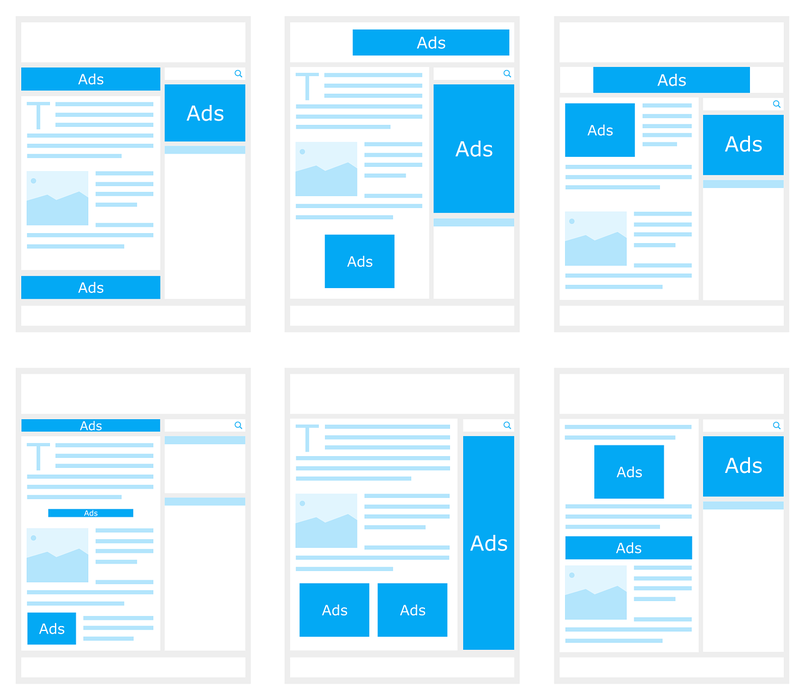 Google Auto ads will now start working on your website and start analyzing your pages, It will find the potential ad placements, and show new ads when they’re likely to perform well and provide a good user experience. The ads will start showing within 10 to 20 minutes. If you already have ad units running on your website then there is no need to worry. Google will count the placement and bypass them and look for new placement opportunity. However, I recommend you to remove any existing ad units from your website to work it better for you. Benefits of using Google Auto Ads. Optimization: Using artificial intelligence, Auto ads show ads only when they are likely to perform well and provide a good user experience. Revenue: Google Auto ads will Automatically locate any existing and available ad space and place new ads there, This will increase your revenue. Easy to use: With Google Auto ads, you only need to place a single ad code on your pages once. Whenever you are ready to use new ad features and ad formats, you may simply turn them on and off with just a click. There is no need to change the code again. Save your time:- Google auto ads also save your time. You don’t have to bother yourself with placement strategy. Google will take care of it. All you need is to provide great and valuable content for your site and drive traffic to your website. Google Auto ads have some mixed up reviews. Some users find it very useful and some are not. According to my personal experience, Site content and traffic is a big factor to determine how Auto ads work for you. If you have low traffic website then the revenue is going to be quite low and you can’t make most out of it. Since the Auto ads work on artificial intelligence so, it will perform well with high traffic websites. However, it is my personal opinion and I am not insisting everyone to not use it. Everything depends on your efforts and hard work. Google Auto Ads is a great new feature from Google. There is no reason that you cannot check it out. As per Google Publishers who have implemented the Auto Ads have seen 10% increase in their earnings. Let me know how its work for you by dropping your comment below. This is something new I have been reading around the net. I haven’t monetized my blogs with Google adsense in years, but this is interesting to know. Thank you for sharing your thoughts and insights on this new Google adsense feature! This is indeed a very interesting tutorial. Google auto ads is really one of the best Adsense ad format Google have introduced so far. I was super excited when I heard about it and I quickly added it to my blog and since then, I’ve seen some change in earning. This post will really help a lot of people understand how to use this ad format. Glad you find this article interesting and helpful. Thanks for stopping by. Very nice artical. Keep good work. I was searching for this article for a while. Thank you very much, dear. You are really a creative article writer. Google Auto Ads – Everything You Need To Know About It is now my favorite one. Keep sharing more this type of informative article. I will try to reach you every day if you will write articles like this. I would like to show my passion for your kind-heartedness supporting persons who really need help with this important area. Your personal commitment to passing the message up and down appeared to be pretty important and has in every case encouraged girls like me to achieve their pursuits. Your amazing warm and friendly suggestions denotes a great deal a person like me and a whole lot more to my colleagues. Warm regards; from all of us.